The $367,000 Question: Why did the city reject Houston developer's higher bid for prime property? The $367,000 Question: Why did city reject developer's higher bid? John Beeson’s dream to build high-rise towers linked to Buffalo Bayou Park with a pedestrian bridge over Allen Parkway probably won’t come true. That’s because the Houston City Council snubbed his bid to buy a huge redevelopment tract of city-owned land a half-mile west of downtown. Houston’s City Council voted Wednesday to bypass Beeson’s high bid and sell the site to an apartment developer, Phoenix-based Alliance Residential, for $367,000 less than Beeson wanted to pay. Beeson is puzzled about it. And that’s understandable, because he was the high bidder. Beeson, a Houston developer, offered to pay almost $40 million for the vacant land – a 10.5-acre city-owned tract bounded by Allen Parkway, West Dallas and Gillette. To top it off, Beeson, who is a very successful businessman, says he is prepared to pay all-cash for the land and write a $40 million check to the City – no financing required. Beeson offered to pay $39,867,000. Alliance Residential bid $39,500,000. “I offered them $367,000 more than the other people. It’s cash,” Beeson says. Why did the City Council choose the staff-recommended lower bid, instead of Beeson’s? 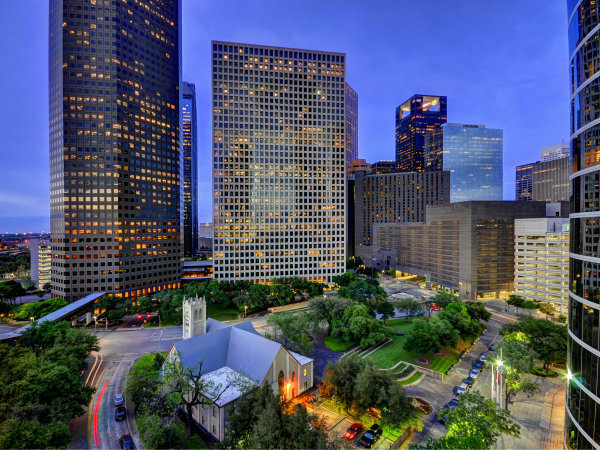 Beeson has been doing deals in Houston for four decades, developing over 5 million square feet of office and retail, including the redevelopment of the Tower Theater on Westheimer. He owns 24 shopping centers in Houston. A Beeson-led group recently bought a 621-acre tract in northwest Harris County – one of the biggest land deals so far in 2014. John Beeson is no lightweight. The city’s selected buyer, Alliance Residential, is undoubtedly one of the strongest multifamily developers in the nation. Alliance’s offer has $1 million in earnest money, compared to Beeson’s $600,000. But at the end of the day, it’s the sales price that’s going into the City’s coffers. Beeson came back last week and offered to increase his earnest money to $1.5 million. The land sale is not expected to be finalized until around the end of the year. By then, the apartment construction boom could be over. Nine bids were received for the site, which was formerly the site of a solid waste incinerator. An environmental clean-up has been administered by the Coastal Water Authority, which owns a stake in the parcel. 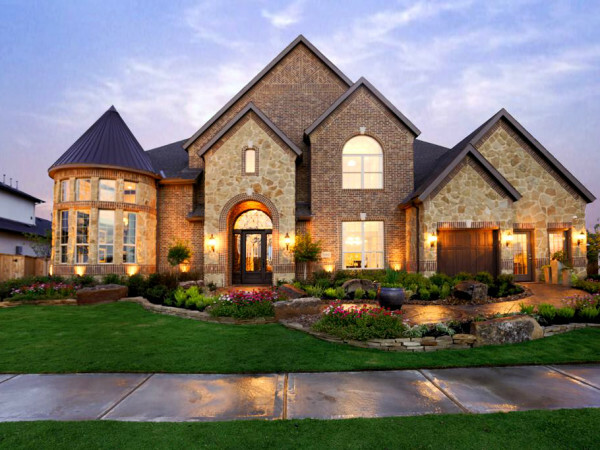 Veteran real estate broker David Cook of Cushman & Wakefield is handling this deal for the sellers. The land, which is next to the distinctive Michael Graves-designed Federal Reserve Bank building, has 571 feet of frontage on West Dallas — a stretch of road where thousands of apartment units have been constructed in recent years. Alliance Residential is an excellent apartment developer, no doubt. But who knows? 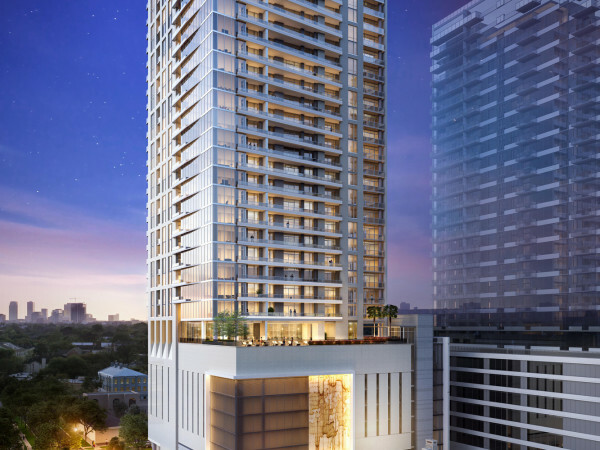 Houston’s apartment market could reach overbuilt status before Alliance breaks ground. The land sale is not expected to be finalized until around the end of the year. By then, the apartment construction boom could be over. If Alliance Residential does not complete the land purchase, Beeson says he would still be interested in buying it. He said his plan calls for a 30-story, 600,000-square-foot office tower and a 30-story residential tower. Beeson says he would develop the office tower himself. Several firms, including a Canadian company, have expressed interest in developing the residential tower, he says. “It’s a great spot. It’s not the place for a four-story apartment project,” Beeson says. Beeson’s project would have a health club atop a parking garage. A bridge connecting the site to the improved Buffalo Bayou Park would make the project a grand slam home run in Beeson’s view. I’m thinking $367,000 could patch a lot of potholes. With Alliance Residential getting the city’s blessing, Beeson says he’ll just move on, even though he can’t understand why his high bid was not accepted. Beeson may accept the fact that his high bid was passed over. But with municipal finances tight, it seems like the City Council would have wanted to take the higher offer. I’m thinking $367,000 could patch a lot of potholes. Ralph Bivins, former president of the National Association of Real Estate Editors, is editor of RealtyNewsReport.